I wanted to do something else for my sweetie, and wanted to use those plant presses I had made before. 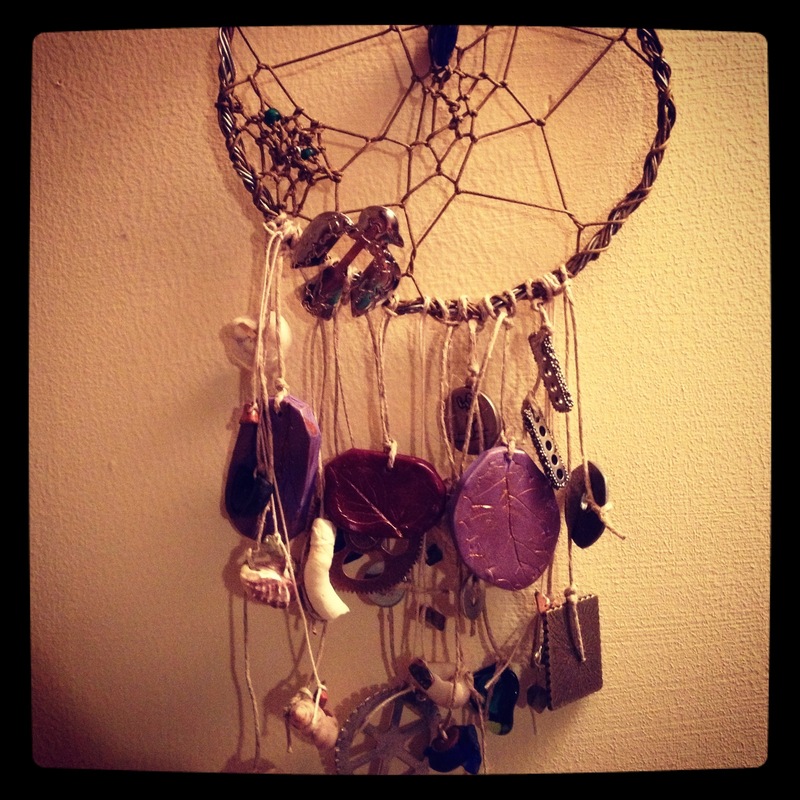 So I attached them to a home made dream catcher. I added shells, sea glass, and washers that Luke’s sister had in her beading trays.